The Bishop of Durham has suggested that the Archbishop of Canterbury will soon be sending (or has already sent) letters to the bishops of the Anglican Communion essentially telling them that, if they are not prepared to sign off on having an Anglican Covenant, they had best not bother coming to the Lambeth Conference this summer. It's not entirely clear if +Durham is correct or if he's talking through his mitre. One Lambeth spokesthingee seems to say there will be letters, another says not. So, there may be letters coming and they may say something about the acceptance of an Anglican Covenant being a precondition for attending Lambeth 08. Well, IF there are letters and IF they say that Covenant-skeptics should stay away, then Rowan Williams will be the most significant Archbishop of Canterbury since Tom Cranmer stuck his hand in a fire. +Rowan would be the Archbishop that tried to abolish Anglicanism. Some background may be required. There is, as you may have heard, a dispute about what the Church's attitude towards homosexuality ought to be. Some people are quite miffed about the whole issue. Some people refuse to participate in the eucharist if certain people from "the other side" are there. A few years ago, a group of people from around the Communion were asked to ponder this problem. They produced a report which they released at a certain royal spot in the UK - hence, the Windsor Report. The Windsor Report said a lot of stuff, but one of the things it said was that perhaps having an Anglican Covenant might be a way to get around all the present nastiness. 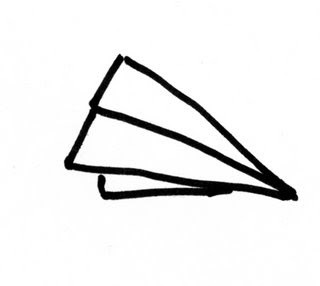 They even included a rough draft of what such a Covenant might look like. The confusing thing is, I don't see anyone anywhere but some hairy Welshman in London claiming that Anglicans are obliged to agree that an Anglican Covenant is a good idea. It was a suggestion from a committee. It didn't come down off a mountain carved in stone. Personally, I think an Anglican Covenant is a daft idea. If Anglicans can meet together, no Covenant is necessary. If Anglicans cannot meet, no Covenant will suffice to heal the breach. But it appears that +Rowan is determined that this recommendation from a committee is now more central to Christian faith and to Anglican identity than any of the four points of the Chicago - Lambeth quadrilateral. So, how did (or could) this come to pass? Well, there really is only one way. +Rowan would have to claim for himself powers roughly equivalent to those a certain Bishop in central Italy claims for himself. Insisting on prior agreement to the Covenant agenda is nothing less than the declaration that Anglicanism is dead, and that the generous via media has been replaced by a new papalism - but with a Welsh pope based in London rather than a German one based in Rome. Sorry, Rowan, but I am an Anglican. I am not, nor do I wish to be, a pale and anemic imitation Roman Catholic. If I wanted papal and curial government in the Church, I'd have done the decent thing and swum the Tiber. 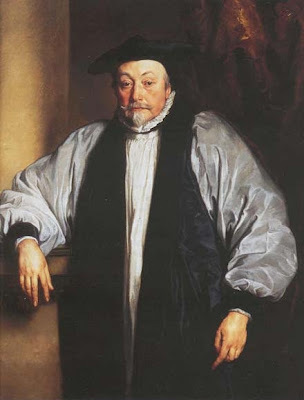 Ironically, the last people to try to impose a Covenant on Anglicans were a bunch of Presbyterians - the same bunch that martyred +Rowan's predecessor +William Laud. Especially ironic: that first Covenant was, to small degree, about abolishing bishops. 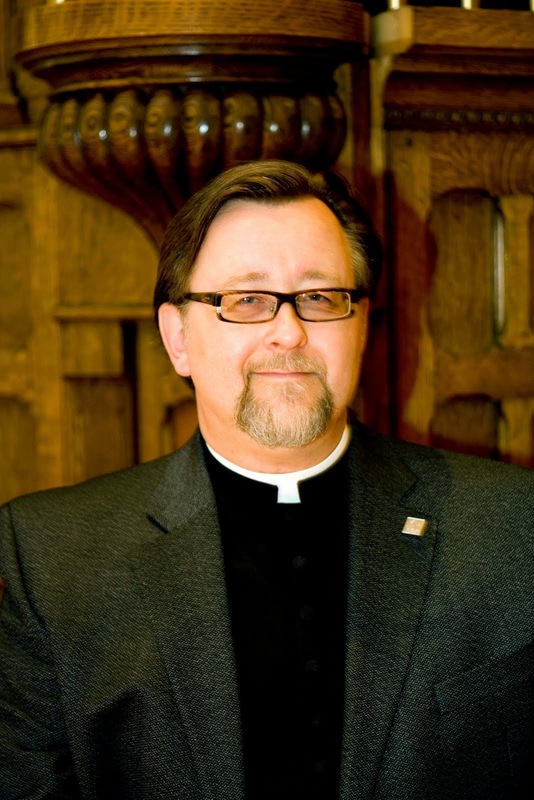 The brilliant American blogger priest Mark Harris has some suggestions about what Anglican bishops might do if they get one of these letters - if such letters are sent and if they say such foolish things. Unfortunately, he forgot to include the round file. Hear, hear. No doubt we're nearing the end, sad to say. Oh come now, things are not all that bleak. 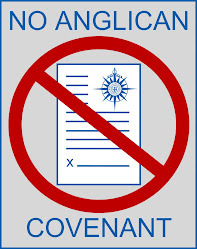 I kind of like the idea of a covenant (although I hate that word) that would give some helpful definition to Anglicanism, and I'm not overly worried about creating an Anglican Pope or Magisterium. No one seems to know what letters NTW had in mind and the public pronouncements from Canterbury say nothing about any kind of plenary session. By the way, I had no idea that the mere mention of the NDP would elicit an explosive response labeling it as a fascist, communist, socialist, terrorist, oppressive, freedom hating elitist club of power hungry megalomaniacs. Wow! It appears that +Rowan may be saner than I thought - and +Tom Wright not quite so knowledgeable as he thought. Cantuar's "letter" has been released as a video - and while he is still enamoured of his dead-end Covenant, there is no hint of banning Covenant-skeptics. Stand by for further blogging anon.